Longtime rivals Pittsburgh Penguins and Washington Capitals lived up to their billing in a barnburner Monday night. WARNING: If you looked away from the Pittsburgh-Washington game, you probably missed a goal...or nine. These longtime rivals met again Monday night and played some old-fashioned pond hockey, an eventual 8-7 Penguins win in overtime. It started off simply enough, the Capitals scoring two goals in the first period to take a comfortable 2-0 lead. And then came the second period. And things got interesting. The Capitals' Justin Williams came out to play and put another one past Murray, making it 3-0 early in the second. The Penguins responded with not one, not two but three goals, equalizing the game in a matter of minutes. Goal scorers: Evgeni Malkin, Conor Sheary and Nick Bonino. And if scoring three back-to-back goals wasn't enough, how about five? Bryan Rust put another behind Capitals' goaltender Braden Holtby and Malkin scored his second of the game. That sent Holtby to the bench and enter Philipp Grubauer in relief. 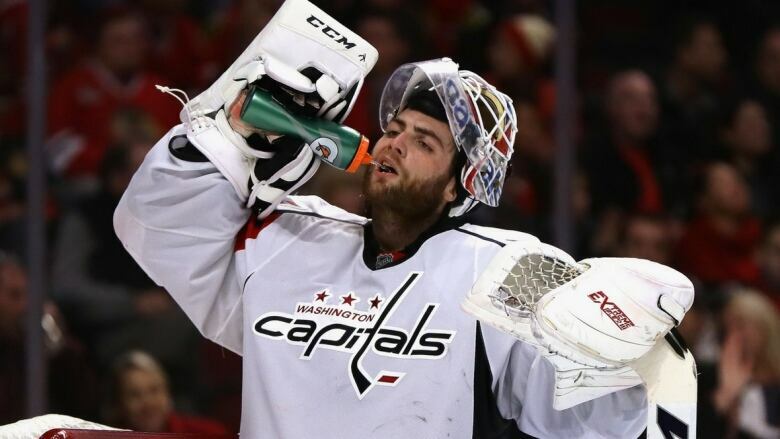 Stat of the game: Braden Holtby has given up more goals tonight than in his last five games...combined. Breathe Washington fans, Brett Connolly and Lars Eller came to save the day, each scoring to tie it up. It ain't over until it's over. Malkin scored his third goal of the game and the Penguins' sixth goal of the period. Coaches Mike Sullivan and Barry Trotz were mortified. The Penguins and Capitals had a combined 9 goals in the second period. Fun fact: The last time the <a href="https://twitter.com/hashtag/Pens?src=hash">#Pens</a> had 6 goals in one period was on March 24, 1996 vs. NYR.